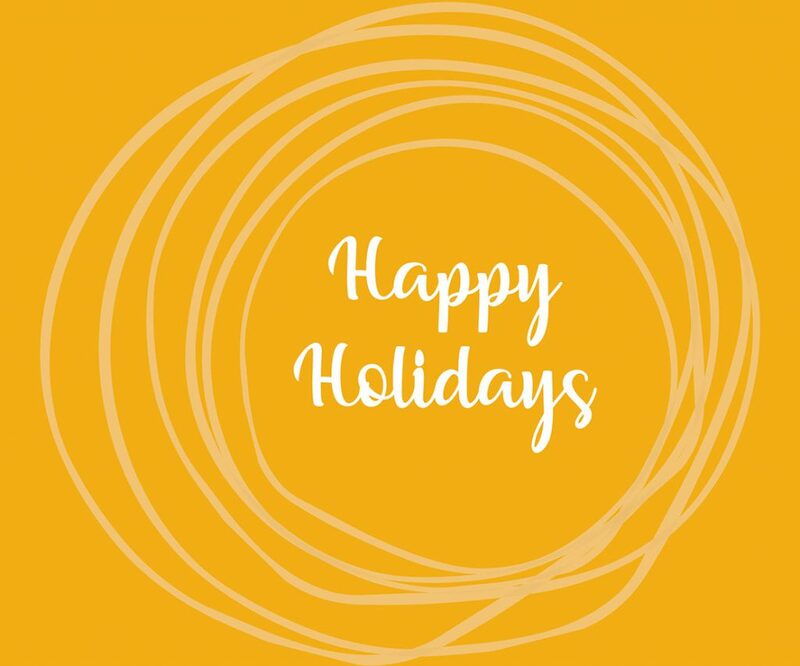 Our offices will be closed starting on December 24th and will be open again on Wednesday, January 2nd, 2019. 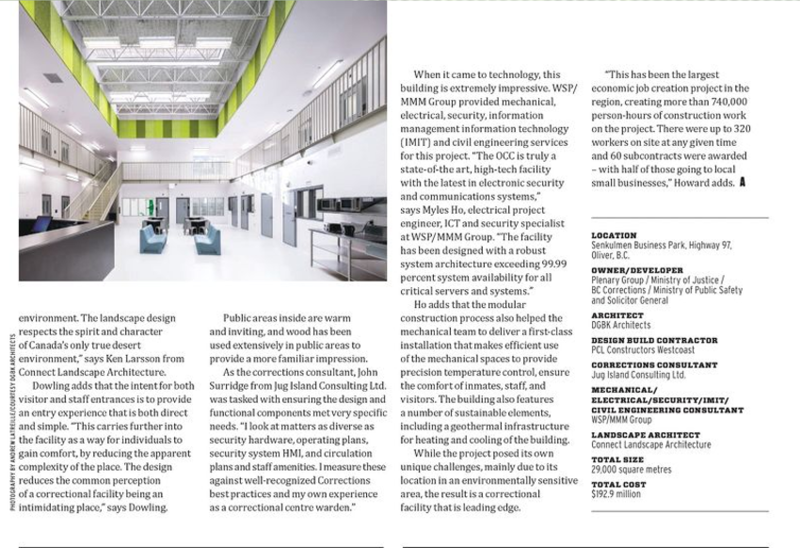 We are proud to have been part of the team for Okanagan Correctional Centre (OCC). The OCC received a citation award from the American Institute of Architects / Academy of Architecture for Justice (AIA/AJJ). A Citation Award is the highest level of award offered by the AIA/AAJ which celebrates the best buildings and spaces. The OCC was honoured at an award ceremony last fall and has been touring with other award recipients at other conferences which will conclude at the annual conference of the American Institute of Architects in New York in June 2018. 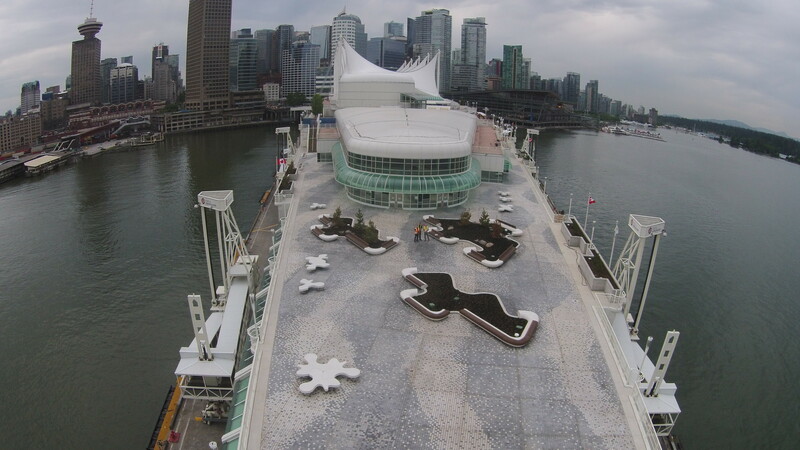 The Romex permeable hardscape solution selected for the 23,000 sqft Canada Place Plaza Deck Resurfacing Project in Vancouver, BC. 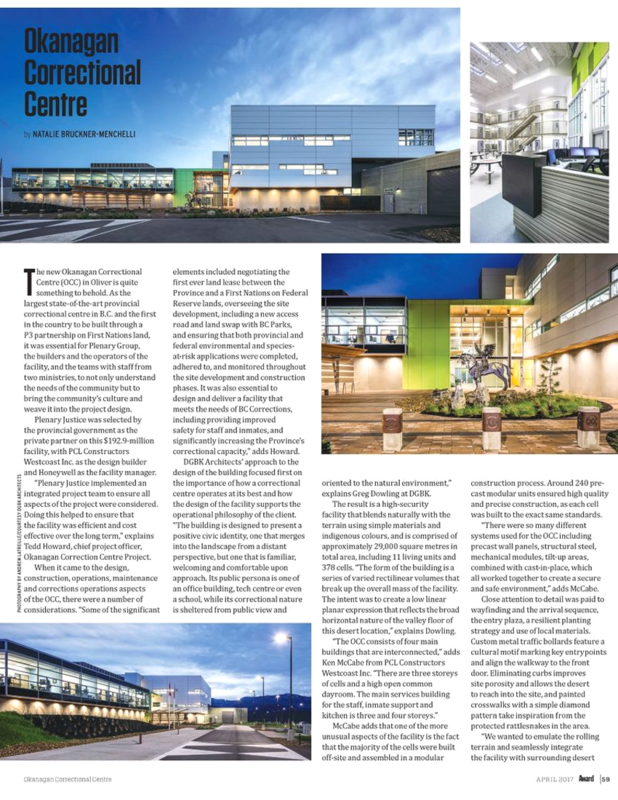 After more than four years of working on the P3 Teck Acute Care Centre, the project is nearly complete! 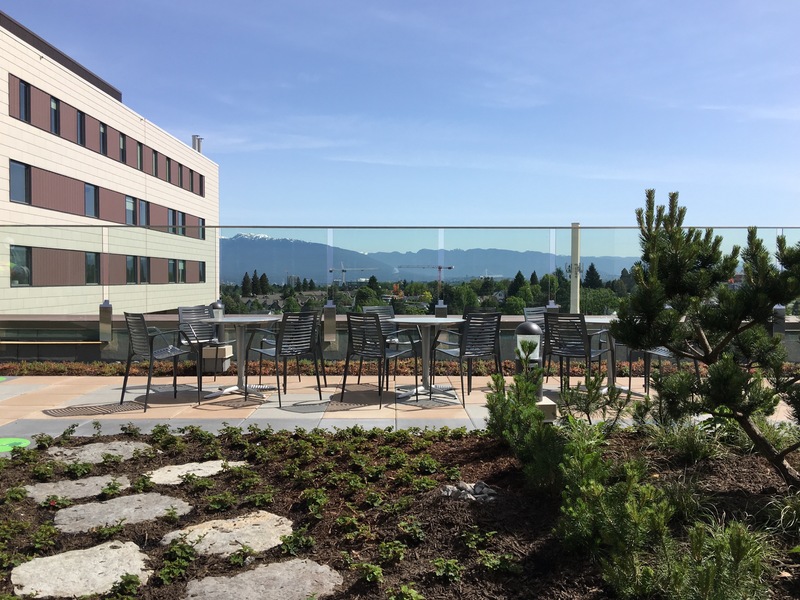 The Teck Acute Care Centre (BC Children’s and Women’s Hospital) integrates multiple outdated care facilities into one new spectacular facility. 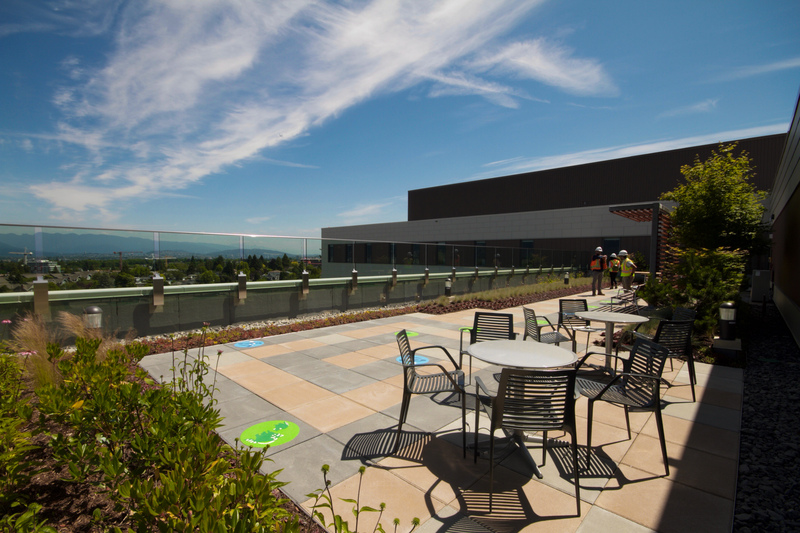 The vision provides a bright, modern facility that affords every patient a room of their own, and a place for parents to comfortably stay with their child overnight. Natural light, fresh air, and connection to nature are the driving principles in the design. 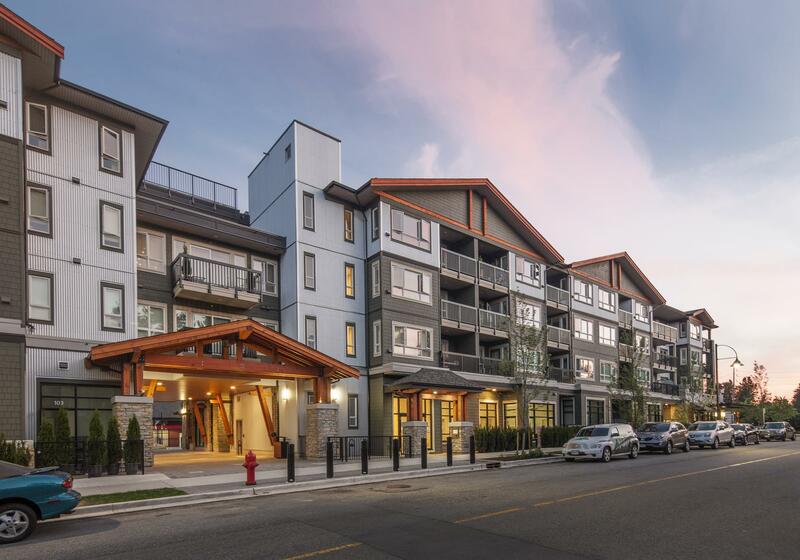 Highlights at grade include: a pedestrian promenade with feature timber canopy, vehicular entry court, forest floor wellness walk, children’s play space and plaza, retention of significant ring road trees, rain gardens, and an outdoor cafeteria. 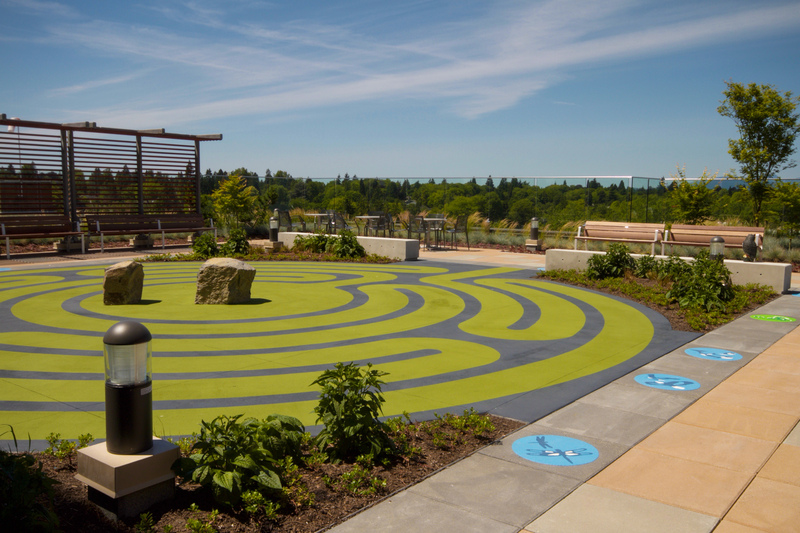 Throughout the building, children’s therapeutic gardens provide healing spaces bridging the inside and the outside. Elements of discovery and whimsy can be found throughout the design and are used as a way to engage children of all ages. 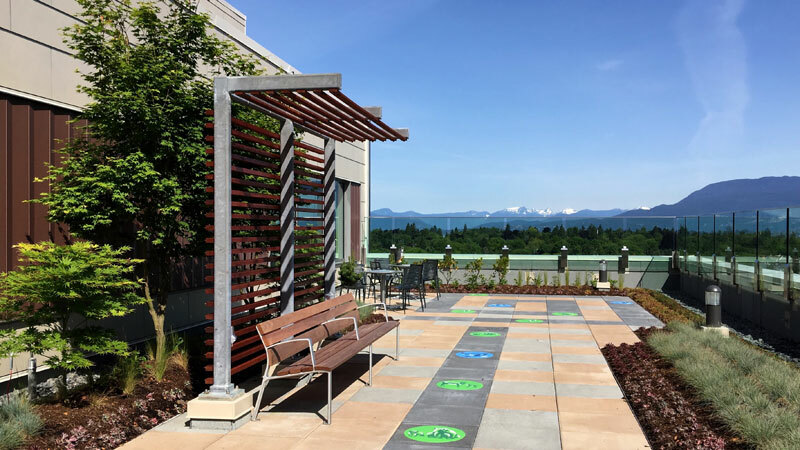 The use of symbolic wayfinding icons expressed in the paving, landscape metaphors include the forest to the alpine mountain meadows, and the ‘labyrinth’ represents the journey to healing and wellness. 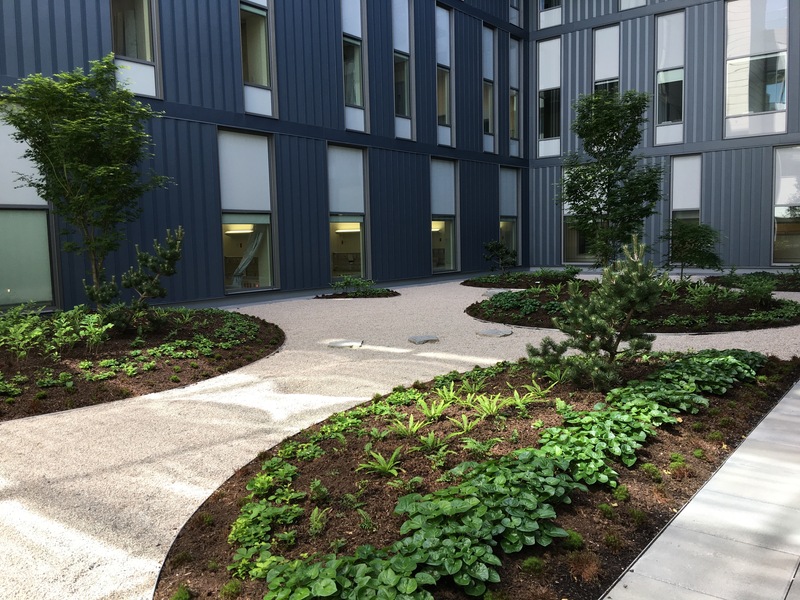 Interior courtyard Zen view gardens provide a calming environment for NICU patients and families, through the use of crushed stone, shade understory, sculptural trees, and lighting. Multiple pieces of public art are to be installed in the Fall of 2017. 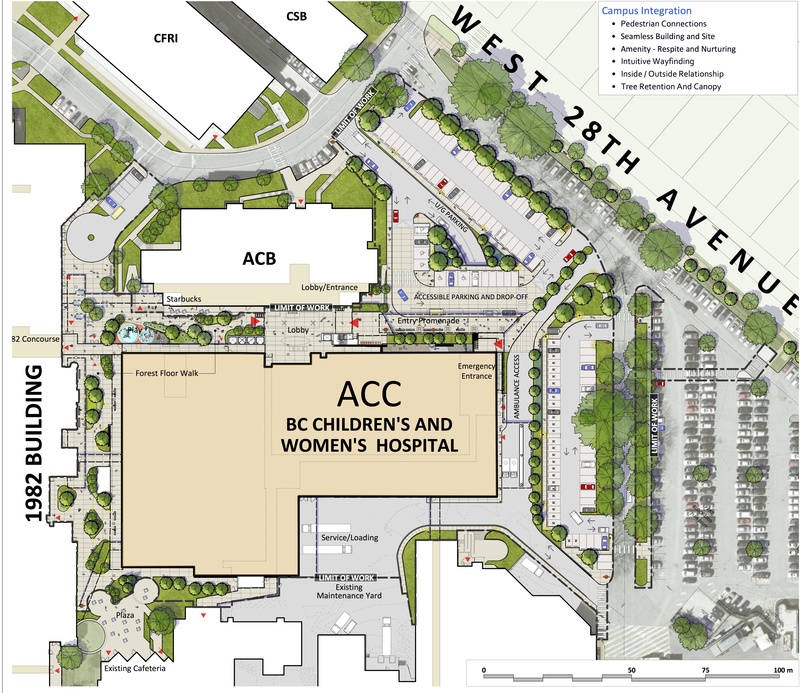 Phase 2 of the project is schedule for completion by 2018. 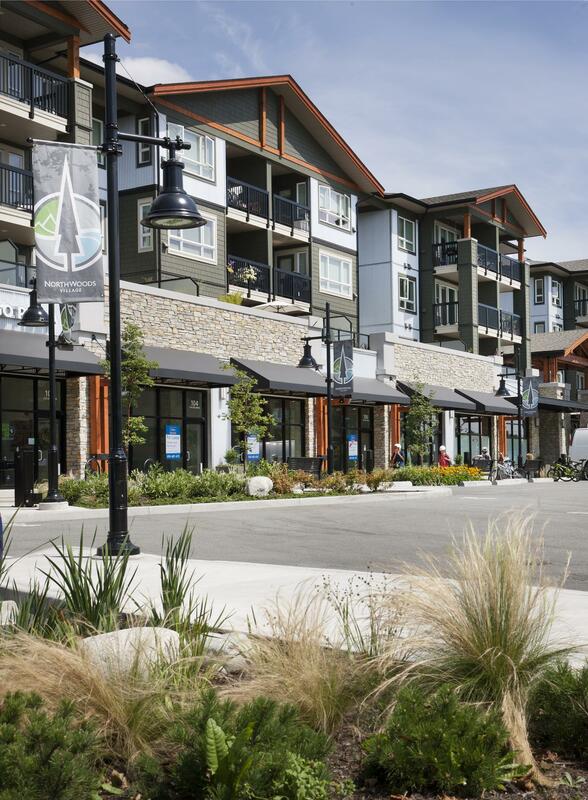 Since completion of Phase 1 in 2016, Northwoods Village has grown into a focal point within the District of North Vancouver. 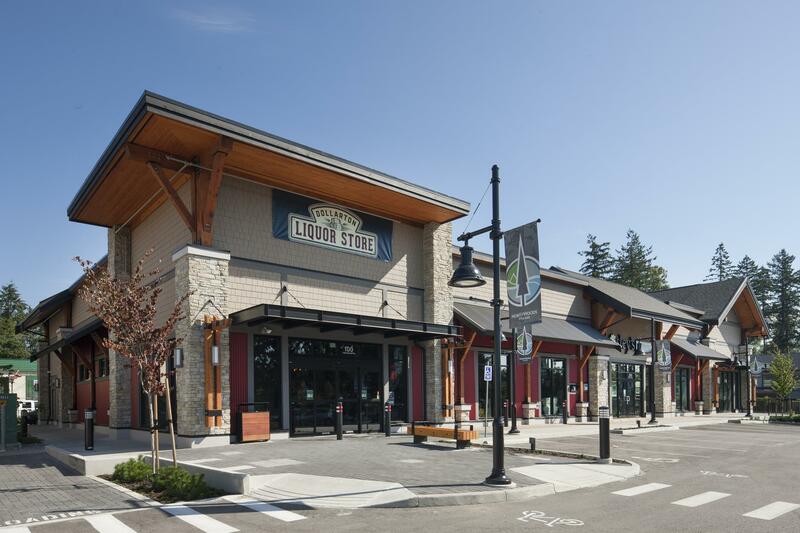 A mixed-use community inspired by the natural and cultural setting of the North shore, Northwoods Village is located at the gateway to Maplewood Village, a master planned community, at the foot of Mount Seymour. 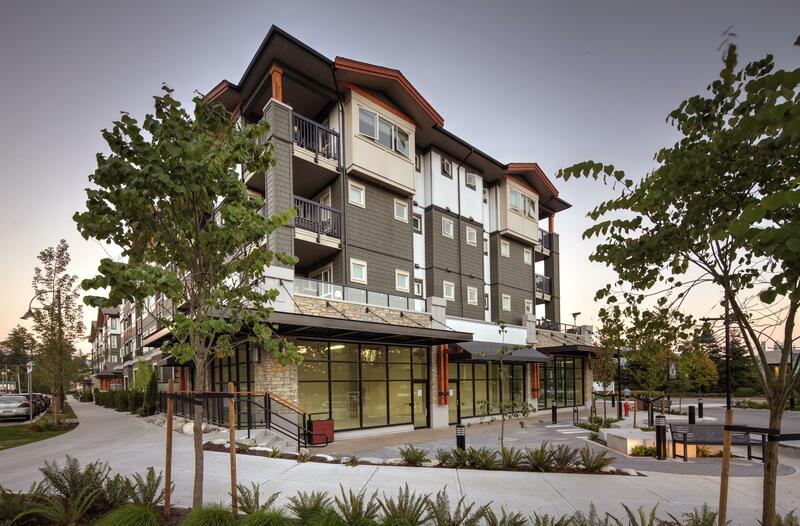 The development consists of a four-story, 80-unit rental apartment building and a neighbourhood shopping centre with multiple commercial tenants including Stong’s Market and CIBC. 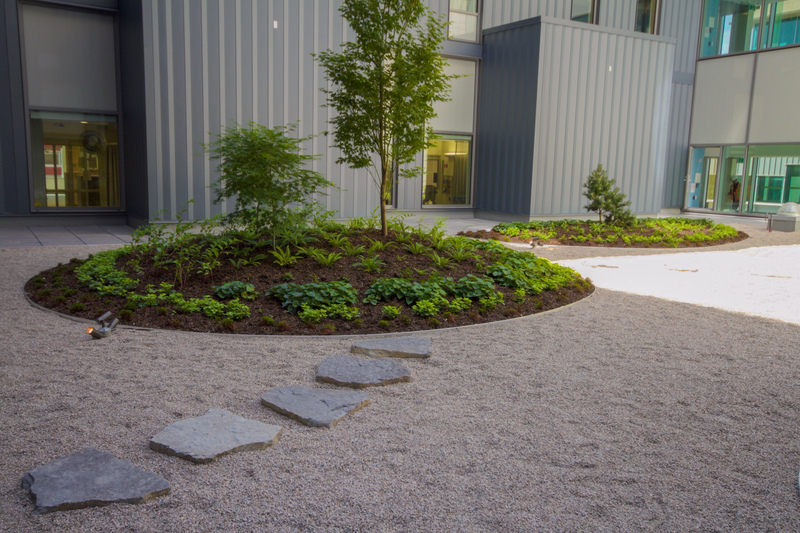 The site retains an existing forested parcel while incorporating rain gardens and a local plant palette. 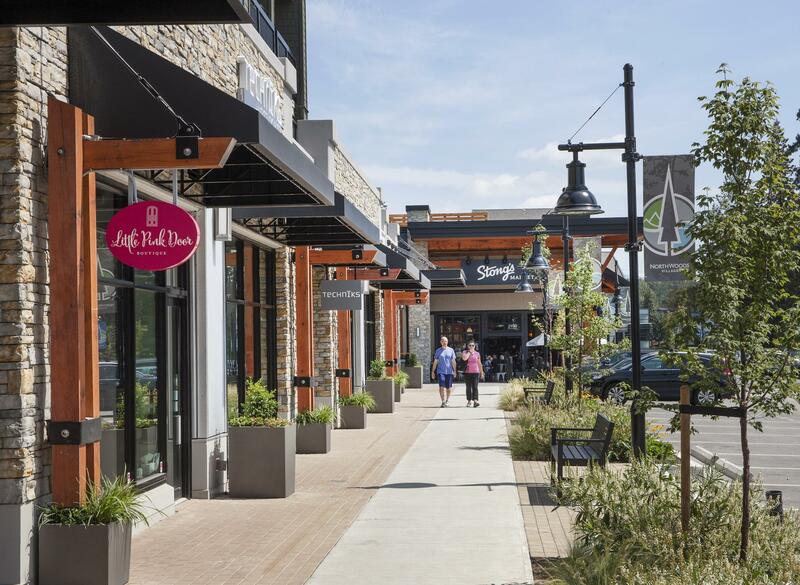 The public realm is defined by a series of nodes and plazas using timeless materials representative of the North Shore’s natural and industrial history such as stone, timber, and steel. 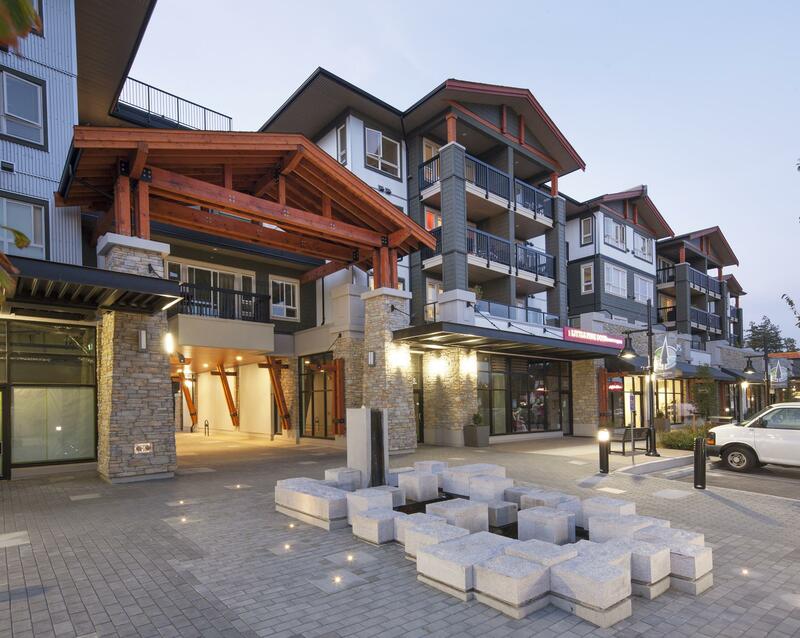 Phase 2 is currently underway and will feature an anchor restaurant and patio together with a large piece of public art sited at the main entry to the development. 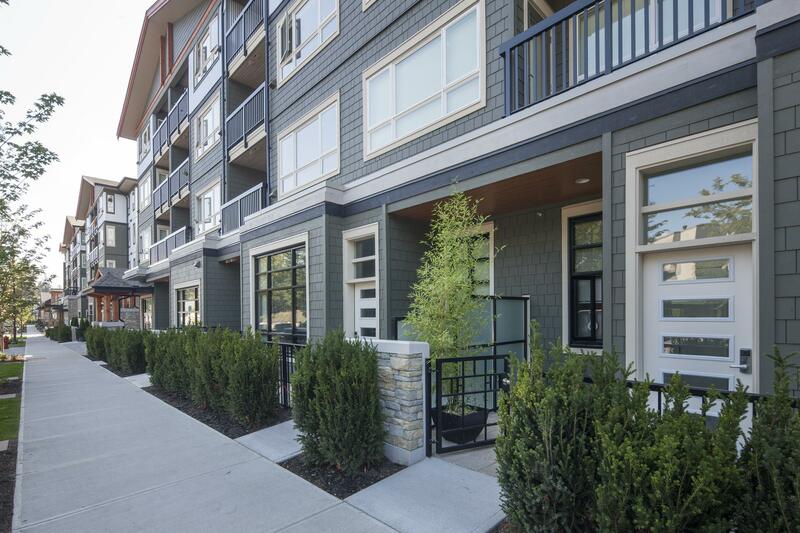 Our excellent MEC Brooksbank project in North Vancouver is being featured on the BCSLA Web Atlas as an example of resilience to the impacts of climate change. 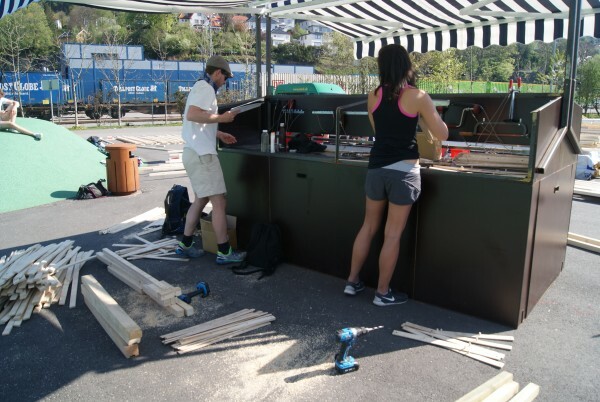 The Bergen International Wood Festival took place from May 9th to 13th, 2016, and our intern Heather Scott and her team came home with 2nd Prize. Congratulations to Heather and her team! 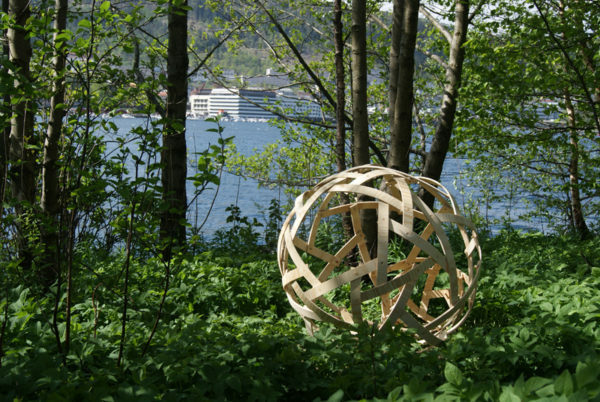 The festival took place in the city of Bergen, Norway, on the edge of a small lake not far from the City Centre. 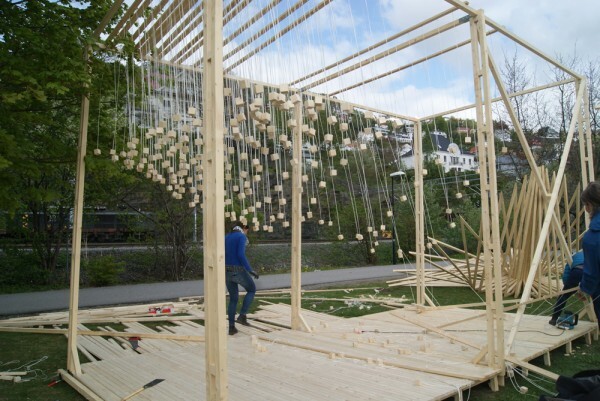 Over the course of five days, structures took shape as locals passed by on the popular river walk. There were 25 teams in total, building innovative structures and sculptures using 2×2 wood members. Heather’s team was the one exception, opting for sheets of plywood instead and using no metal hardware. The sheets were cut into strips with a simple peg-and-hole modular system. The pieces were bent and connected with a combination of tension and compression to form three-dimensional volumes with perfect geometric patterns. 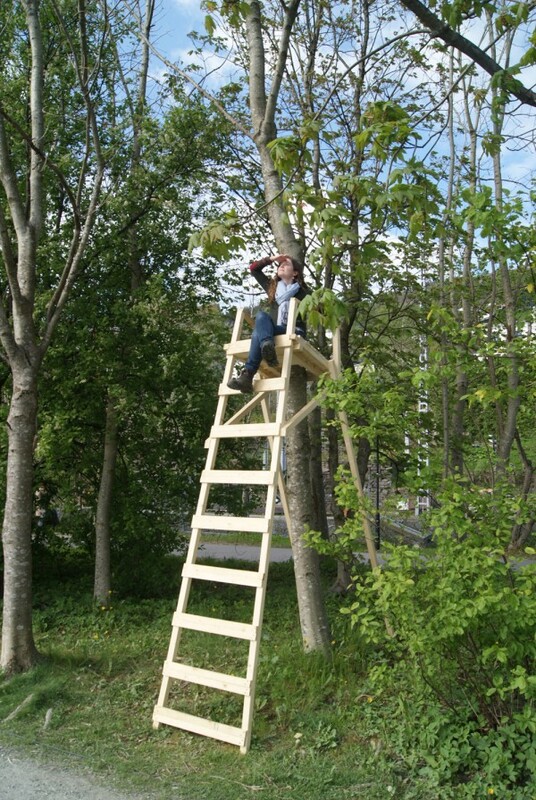 Projects explored the theme of this year’s festival: “The Green Transition”. Some used natural patterns like living cells and the golden ratio, while others took a more abstract, conceptual approach to themes of sustainability. 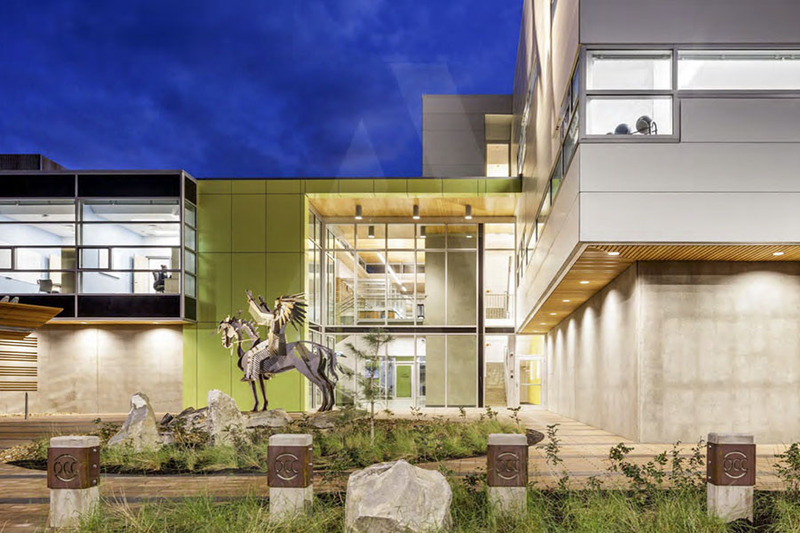 Several projects used sustainable building practices by minimizing the production of waste materials and even repurposed other teams’ end cuts and scraps. 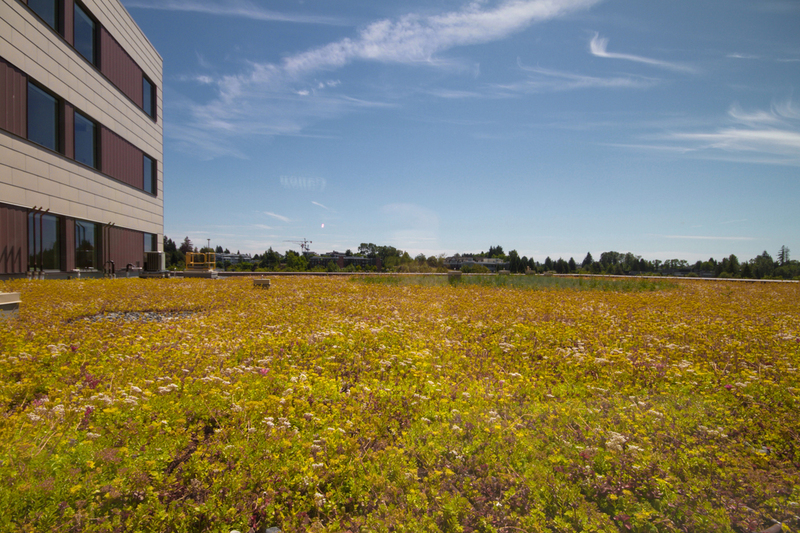 Connect Landscape Architecture was part of the team for the VanDusen Botanical Garden Visitor Center which received the Living Building (LBC)™ Petal Certification – the most stringent measurement of sustainability in the built environment. The VanDusen Visitor Centre achieved certification in the categories of Site, Materials, Health and Beauty. 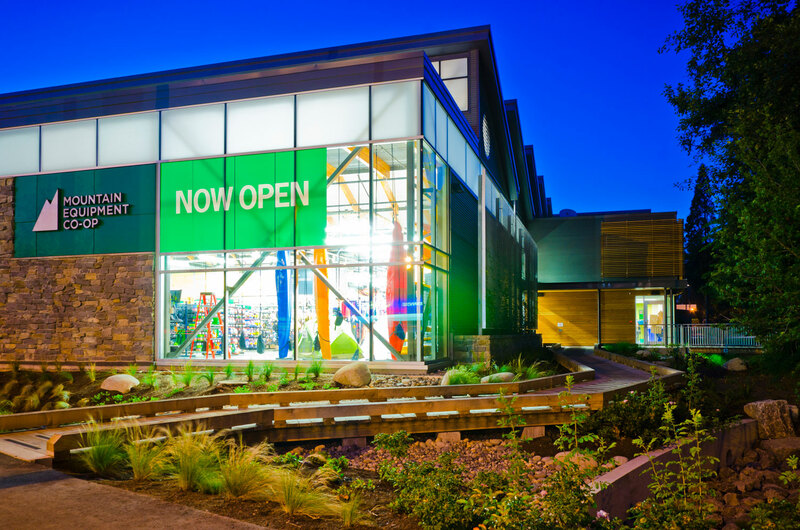 The VanDusen Botanical Garden Visitor Centre is the first project in Vancouver to be Living Building Challenge Petal certified and is one of only a handful of projects registered in British Columbia. The project has been recognized with accolades and earned dozens of awards from institutions around the world. Sharp & Diamond Landscape Architecture has been connecting people to the environment with award winning, creative design solutions since 1980. We are excited to announce that beginning January 2016 Sharp & Diamond will become Connect Landscape Architecture. When deciding to re-brand a company as established as Sharp & Diamond, we had a lot to carefully consider. Who we are, who we want to be, what defines us. 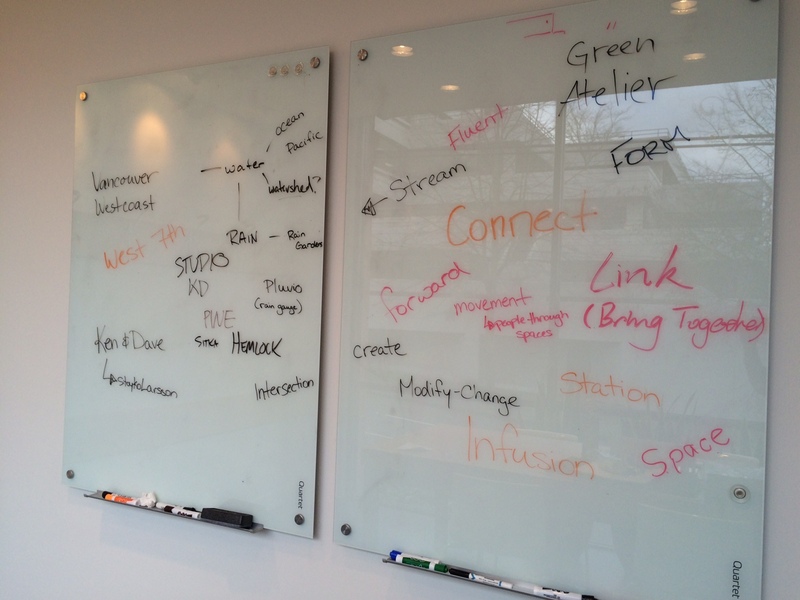 The name was a small, but key component of a larger rebranding process. Everyone in the office participated in a visioning workshop to explore how to shape our future direction – which is truly a reflection of the collaborative office environment we value. Connect Landscape Architecture logo speaks to how we connect to our clients, our community, and the environment through the creation of integrated landscape and built form. It reflects the core values of our company: environmental responsibility and social connectivity. 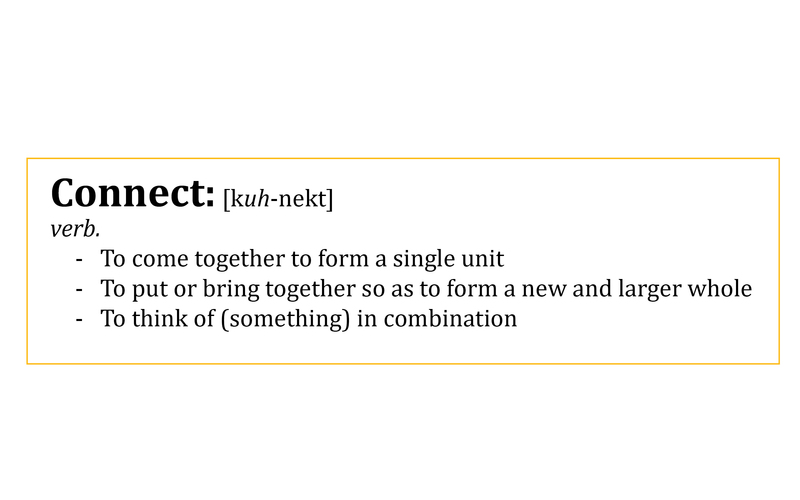 Connect is more than just a name: It is who we are and what we do.